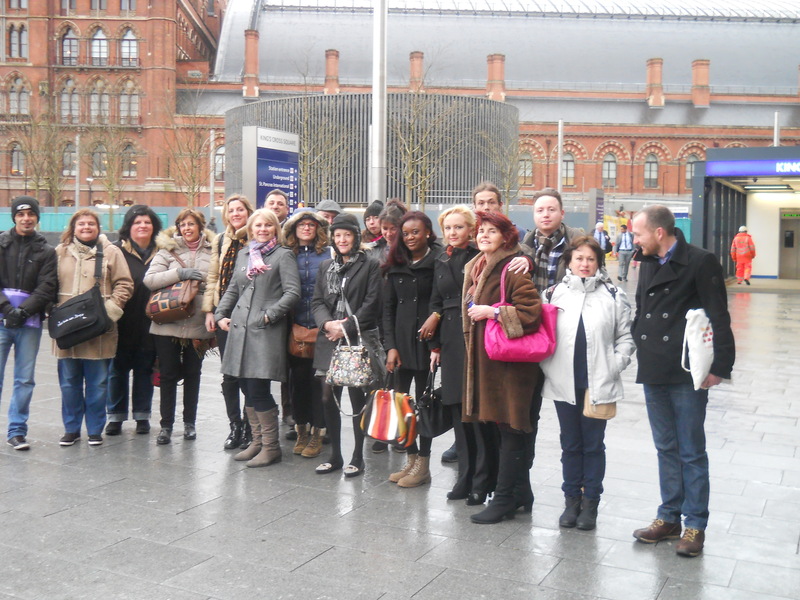 The 5th HELP Meeting took place in London and hosted by VAC from 9th to 12th February 2014. 18 EU delegates attended this meeting. The first day meeting took place at Camden Town Hall. The delegates were welcome first to the Mayor’s Parlour and the meeting took place in the Committee Room in Camden Town Hall with presentation from the Councillor Tulip Siddiq. Her presentation highlighted the importance of the voluntary and community sector and how the Council is supporting the sector. Camden Council Officer, Thomas Humphreys’ presentation highlighted the mentoring programme taking place among the Camden young adult population in getting them into employment. Then, each partner country’s staff and learners did a short presentation about their project and the new development. The meeting was followed by a visit and talk at the British Museum. The second day was at the London Irish Centre in Camden where all delegates were involved in workshops to improve the EU website dedicated to Peer Mentoring and its best practice. The workshops were followed by a tour at the Camden Markets and the Roundhouse which is one of the iconic music venue in Camden. The third day was at VAC offices where the delegates worked on EU website and learners worked on the e-guides. Delegates also worked on the sustainability of the project’s future. Delegates had an opportunity to meet with VAC staff and volunteers present. The delegates were given an opportunity to see the community hub at VAC and meeting with organisations such as the London Irish Survivors. More information is on the Agenda as well as the photo album of the London meeting.